Probably a question asked a lot, but how did the name come about? Well, basically it’s a word that means only means something to us, and to other people it only means our band, and we like it like that! How long have you known each other? How did you meet? Hmmnn.. complicated… Ross and Nial live beside each other in Portrane and played in bands together, then I answered an ad in buy and sell to play drums with Ross, and Ross played with a couple of other bands and through playing with a different band with Ross, and bit by bit it came together until it was right. We got there in the end. How did the band come about? What inspired you to make music together? Well initially, after another line-up went by the wayside, me and Nial got Ro drunk in Dorans and made him play a covers gig or two to see how he felt about it, and he liked it. Then though mucking about we figured out we were good, and set about doing songs. 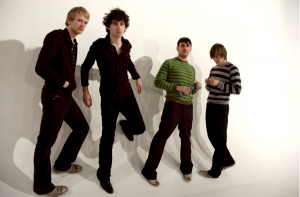 It was a pretty fertile time for the music industry and there were lots of bands around our level, and we started doing gigs with bands like the Flaws and Director and the Immediate, and pretty soon we discovered we were writing songs good enough to be our debut album! After Ró left, were there any hard feelings? Well… Ró never really left, he just told us he couldn’t do it anymore. 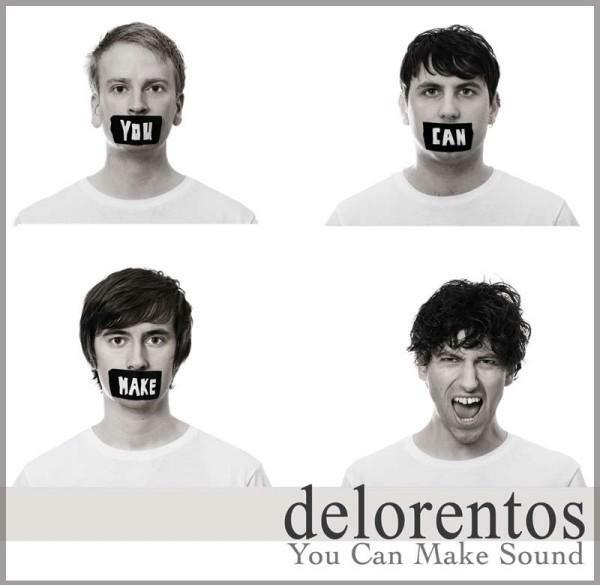 We were pretty shocked and sad obviously, but we’d written the “You can make sound” album and we knew it was good so we persuaded him to record it, and by the time we’d finished that we decided we’d try and make it work, and thankfully we did. So we didn’t get much time to sit around and think about what was happening, we just got on with being in a band. Do you think with the awards, and the No.2 chart position for the new album it will continue to provide a desire to go on making music? Oh yeah, but chart positions and awards don’t give you any more desire, making music gives you the desire to make more! Awards and good reviews and that kinda thing are great, but nothing beats standing on a stage playing songs you’ve written to an appreciative crowd. How have the fans received the new stuff? Great I hope, and I also hope they’ll continue to support us as we develop and get better too… I know some people wanted “In Love With Detail II” but I don’t think you can do that if you want to be constantly getting better… We’re lucky to say that we have people who are fans of the band and we don’t take it for granted! You’ll have to ask them I suppose. Rah rah rah ah ah, roma romama GaGa ohh la la want your bad romance? How do you annoy Lady Gaga? Poke her face. Jesus, that’s a terrible joke. What CD is in your car/iPod right now? If you could collaborate with one person or band who would it be? Lady Gaga. Or Crystal Swing. Or both. 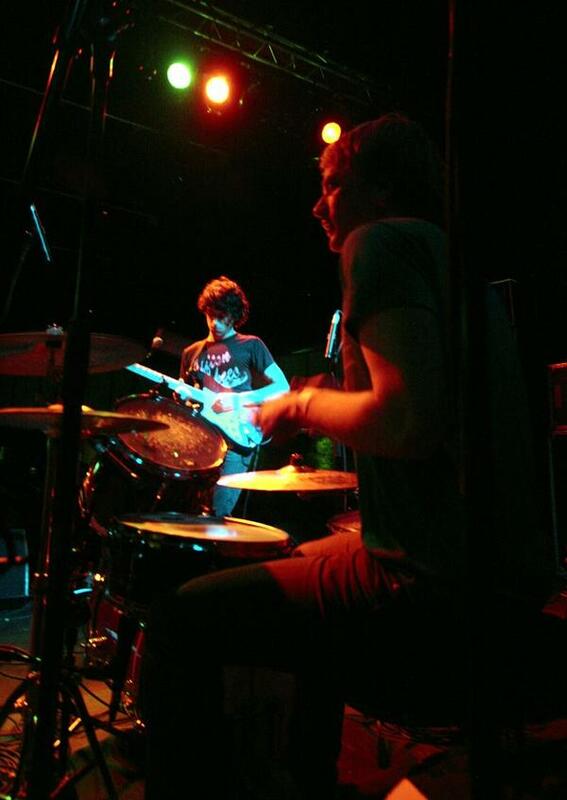 Write the best music we can and play the best gigs we can. I think that’s all you can do. To be in the position we are is privileged, and we’re gonna make the most of it…! Is there one song out there you wish you could’ve written? I heard snippets of Mumblin’ Deaf Ro’s new album, and that guy is a bit of a genius. Where would your ultimate favourite place to play a gig be? My Ultimate favourite? On the set of Saturday Night Live, or Jools Holland. I’ll have to send an email to both. Any advice for budding musicians and bands? Buy a floor tuner. If you’re spending more time on your look or the internet than playing or writing you’re doing it wrong. Find a wealthy person and ask them to join, you’re going to need money. She drinks Tequila, he talks dirty in spanisssssshhhh. This Friday 26th we’re playing in the Academy, Dublin (Ticketmaster). You should check out both! 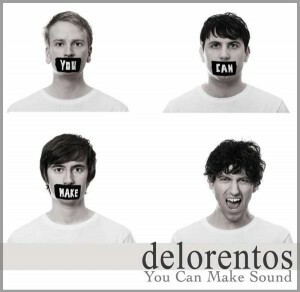 You can keep up with the band on Twitter @delorentos, on MySpace at and on Facebook here.